Hotel Brissamar - Zihuatanejo, Gro. Brissa Mar Hotel is located in downtown Zihuatanejo a few blocks from the pier and Main Beach; so we are relatively in the heart of Zihuatanejo, close to restaurants, cafes, bars, galleries, boutiques and craft market. 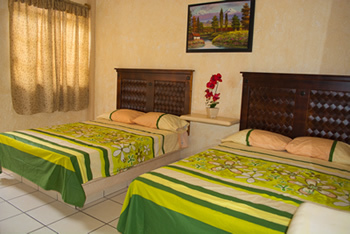 Hotel Brissa Mar have spacious and comfortable rooms, for you, to enjoy your stay in Ixtapa Zihuatanejo, all our rooms offer: Air conditioning, TV (plasma), Hot Water, TV Cable, WI-FI, pool with wading pool, parking lot. We have 2 and 3 fully equipped bungalows that offer absolute tranquility in a refreshing atmosphere with excellent location, is perfect for extended stays in Zihuatanejo. 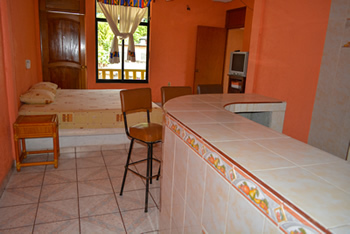 2 large bedrooms, 1 bathroom, TV (plasma), Hot Water, TV Cable, WI-FI, kitchen, living.